You may be asking yourself, 'Why do I need to have my tires serviced?' At Meineke, we have a simple answer to this question - because your tires are some of the most important parts of your vehicle. When you service and maintain your tires regularly, you will get the most out of your vehicle's suspension system, handling, and overall performance. If you can't remember the last time you had your tires replaced or inspected, visit your local store today in Greensboro NC Meineke #188 for a full tire-fledged tire inspection. Tires are one of the most essential parts of your vehicle. They act as the only point of contact between your vehicle and the roadway, so they are vital for proper safety. They can also significantly impact how well your vehicle performs. If you fail to take your vehicle in for a scheduled tire change service, you could be increasing the wear on your vehicle and lessening the lifetime of connected components. You may also be putting yourself, your vehicle's occupants and others on the roadway in danger. As tread wears down on a tire, it does not maintain as much traction, which could cause your car or truck to lose control on the road. Stop by Meineke #188 in Greensboro, NC to learn about a tire rotation service to prolong the life of your tires. Proper inspections of your tires should happen at least once a month. If you often drive in rough terrain or other dangerous conditions, you should inspect your tires and wheels twice a month or more. This is because tires can become worn down or damaged very easily in certain conditions. Sharp rocks or other debris can weaken tires and lead to premature blowouts and necessitate the need for a repair or replacement. Bring your vehicle to Meineke #188 in Greensboro, NC for an inspection and tire repair cost estimate. This will help you avoid having to search for "flat tire repair near me." Tires are vital to the function and safety of your car or truck. The ridges and patterns that make up the tread of your tire are what help it grip the road and shed water to increase traction. When a tire's tread wears down, your vehicle no longer has the same traction and can become more unpredictable or more difficult to handle safely. Underinflated or overinflated tires often cause sidewall damage that can be dangerous, which can lead to sudden tire explosions on the road. Your tires should always be kept properly inflated. 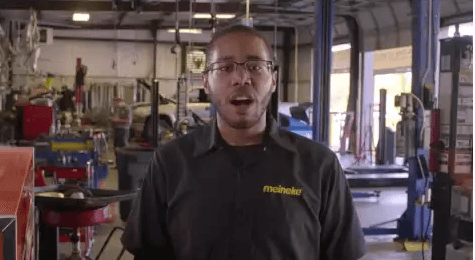 Learn about tire pressure sensor replacement when you stop by Meineke #188 in Greensboro, NC. The great thing about tires is that they usually show clear signs when they need to be replaced or serviced. Damaged side walls may be cracked and broken if the tire is old or failing. Tread on the tire may also seem noticeably low, further indicating the need for a tire repair service. In severe cases, your tires may be so damaged, you can feel or see the belts, or insides, of the tire. Wear on one side, or not enough wear along both sides of your tire also indicates a problem. If any of these happen to your vehicle, immediately contact Meineke #188 in Greensboro, NC to help you safely get back on the road. If you're in need of new tires, you probably have concerns about the actual cost of tire replacement. While worn tires increase your risk of performance and stability issues on the road, that doesn't make affording new tires any easier. Fortunately, we at Meineke in Greensboro, NC can. 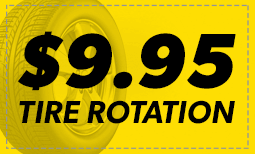 Once you have your new tires, be sure to make frequent visit to our Meineke #188 web page. We frequently post repair and tire rotation coupons there. This is our way of rewarding the trust you place in us.